Instant Car Donation was founded with the goal of bringing donors and local charities together with an efficient and pleasant process. You can focus on deciding which of our respected charities is right for you instead of worrying about difficulties of researching how to make a donation. After your free pickup, we will assist you in recieving the best tax benefit possible for your generous gift. We take pride in helping smaller charities easily receive car donations, bringing people together while helping support those in the Centennial, Colorado community who need it the most. Here are some of our favorite charities in the Centennial area. We have made sure each of them are eligible for tax deductions when you help your local community by donating your car. Your values and choice can make a difference. Adventure Unlimited (A/U), established in 1962, provides inspiring recreational, social, education, and service activities for Christian Scientists and their friends, especially children and young people, in an atmosphere conducive to the recognition of the practicality and effectiveness of Christian Science. Nestled at the base of the Collegiate Peaks in the majestic Rocky Mountains, the A/U Ranches combine elements of the camp experience with a wide array of activities in a Christian Science atmosphere. For those who want to experience the inspiration and bonds of camp year-round--Discovery. Bound provides local events in your community, along with regional and national programs focused on spiritual growth, leadership training and fellowship. The mission of Christian World Outreach is to participate with the body of Christ in responsible evangelism, to bring dignity, self worth and encouragement through leadership development, and to meet the physical needs of people through humanitarian assistance. CWO was founded in 1979 and has grown to an organization that provides medical clinics, vocational training, leadership development, children's feeding programs, HIV/AIDS prevention education, AIDS orphan assistance, youth camps, educational libraries, discipleship, evangelistic outreach and more. In 2000, CWO expanded its programs to include work in Africa and currently in three African countries including Burkina Faso, Zambia, and Zimbabwe as well as continuing its work in Haiti. Colorado Public Radio (CPR) stations KVOD classical music and KCFR in-depth news are available through a network of transmitters and translators that serve approximately 80% of Colorado. CPR exists to enrich the Colorado community. We provide news, information and classical music for people who want to be informed, enlightened and entertained. CPR was formed in 1981, and CPR began broadcasting the current, two-channel network in 2001. No other public radio station in Colorado is devoted exclusively to in-depth news, nor is there a full-time 24-hour classical music station with the resources to create highly researched and produced stories and features. Colorado Public Radio is alone among local public radio organizations in providing a truly statewide service, with as much relevance for listeners in Pueblo and Vail as for listeners in Denver and Grand Junction. Established in 1984, National Stroke Association (NSA) has grown to be the leading resource for stroke. NSA is the only national non-profit organization in the United States devoting 100 percent of its resources to stroke through a variety of innovative and high impact programs. We provide education, services and community-based activities in prevention, treatment, rehabilitation and recovery. NSA serves people at risk, patients and their health care providers, stroke survivors, and their families and caregivers. Our awareness initiatives have provided millions of Americans with life-saving tools to prevent stroke. Our research fellowship grants provide new avenues for treatment. Through expert guidance and compassionate support, we help people realize the potential of life after stroke. Pro Athletes Outreach (PAO) conducts Christ-centered programs and conferences to equip professional athletes, coaches and their families to make a positive impact in the world for Jesus Christ. Today's professional athletes have a tremendous platform to influence the world around them. Their lives are scrutinized by media, fans and the general public. We are committed to protecting the privacy of athletes, coaches and their families while they enjoy our conferences. Over the past 36 years, PAO has not only grown its ministry but has been an integral partner in starting ministries in various other sports. PAO's ministry expansion includes Motor Racing Outreach, Pro Basketball Fellowship, Jockey/Rodeo conference, Women's Getaway and more. Special Olympics Colorado provides year-round sports training and athletic competition in a variety of Olympic-type sports for children and adults with developmental disabilities, eight years of age and older, giving them continuing opportunities to develop physical fitness, demonstrate courage, experience joy and participate in a sharing of gifts, skills and friendship with their families, other Special Olympics athletes and the community. Special Olympics Colorado held its first event at Aurora Hinkley High School in 1969. Four hundred athletes participated in a one-day track and field meet. Today, Special Olympics Colorado serves nearly 8,500 athletes with a volunteer base of over 6,000 and provides opportunities to train and compete in over 20 Olympic-type sports year-round. Founded in 1944, Youth for Christ (YFC) is a worldwide Christian movement working with young people around the globe. Motivated by their faith in Jesus Christ they share the good news of God with young people. Youth for Christ is made up of tens of thousands of primarily volunteer indigenous people in over 100 nations working together in giving every young person an opportunity to be a follower of Jesus Christ and become a part of a local church. YFC is committed to take the Gospel of Jesus Christ to all young people and always seek to do so with urgency, using the most culturally acceptable means. Since 1944, Youth for Christ (YFC) has had a distinctive history of youth evangelism. Beginning in dozens of cities at the end of World War II, YFC quickly organized into a national movement. Starting with Saturday night youth rallies in the late 1940s and early 1950s, YFC's ministry methodology turned to Bible Clubs in the late 50s and 60s. It was in this period of ministry that the concept of teen to teen evangelism was birthed. The vision of YFC is, as a part of the body of Christ, to see every young person in every people group in every nation have the opportunity to make an informed decision to become a follower of Jesus Christ and to become a part of a local church. There are lots of charities, for example Pro Athletes Outreach, in the Colorado area which may benefit from your vehicle donation. We not only help you donate to a charity, but we also concentrate on supplying an effortless method to local non-profits that are small so that they can concentrate on their work that is important to accept donations. The donation is likely to make the biggest difference for such charities, bringing people together while helping to support those within their Colorado community who need it the most. It is important to Instant Car Donation that you get the greatest tax deduction benefit without needing carry out research or to navigate complexities possible. We pre-qualify all our participating 501-3C non-profit charities to verify your donation will be tax deductible. The process will be streamlined to both you and the charity of your own choice, for example Christian World Outreach. We will provide a 1098-C tax form to you following your completed contribution. Car donations are the most financially responsible way for people to create a charitable contribution. Due to this, one of our major aims is to empower those electing a choice by making sure that the car goes to the charity that represents their values, for example Pro Athletes Outreach. make charity choice an essential part of the process, when donating with us. We could do this too, if you need us to decide that charity, like Pro Athletes Outreach, would benefit the most rather. Besides the charitable tax deduction rather than with the hassle of dealing with an old vehicle, the sensation of being able to assist those in need may be the ideal reason to donate your automobile to a charity, like Christian World Outreach. An additional advantage of donating a used auto to charity would be the chance to just eliminate the vehicle without needing to attempt to fix or sell it. Most charitable automobile donation programs will anyhow vehicles whether they are operating in need of repair. Some trucks or cars that are beyond repair will probably be sold for parts or scrap and any money received will go to the charity. When you opt to create a donation of a used automobile, if the charity sells the car, like a Hyundai Santa Fe Sport, for more than $500 they are required to send you a receipt which allows you to subtract the sales cost of the vehicle on your own tax return. If the older car you decided to donate isn't worth at least 500 USD, then the IRS allows you to determine the reasonable market value. This is actually the value that someone would be prepared to pay for the vehicle if purchasing it from you. To be able to receive the tax deduction, then you'll have to itemize your deductions on your tax return. By doing this, you get out by eliminating your old car, truck, RV, motorcycle, or other car, without having to market it in Centennial. You claim the tax deduction, along with the charity gets to use the vehicle sells it and uses the profits for the good of the charity. That is a wonderful thing for everybody involved. Car donation programs have become popular in Colorado over the last ten years or so, as more charities are searching for new and innovative ways to create funds. Nowadays, the amount of charitable car donation programs numbers in the hundreds or even thousands. If you have a favorite Centennial charity you prefer to make contributions to, it's most likely possible for that charity to get at least a portion of the funds when you give your old automobile. Charitable car donation programs permit you to give your secondhand car to the charity of your choice. Visit our charities page to decide on a charity in Colorado to contribute to. Most used car donation programs will either sell the vehicle to increase funds for the reason, use the automobile in the everyday operations of the company, or give the car, like a Electric Mobile Cars Electric Mobile Cars, to a someone who needs help either at no cost, or for under the average market value. When there are numerous advantages to charities which receive donations from individuals, the advantages to the you, the donor may not be as apparent. The biggest benefit that the majority of men and women hear about is your opportunity for a tax deduction. This means that the resale value of the given vehicle may be written off in your own tax return. There are some limits on this type of deduction, so you may choose to speak with a tax professional before making the donation. Is there a tax deduction for donating my vehicle in Colorado? We can guarantee your car goes to a charity that's qualified for tax deductible contributions and help you recieve a reciept on the contribution. You might be able to get a tax benefit for your vehicle 18, should you itemize your deductions. For contributions around $500 it is possible to use Kelley Blue Book and also for larger contributions the non-profit organization, for example Pro Athletes Outreach, needs to confirm what they recieved for the car donation (more information). How can my car be sent to the Centennial charity? 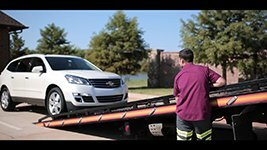 We will organize a tow truck to come pick up your vehicle and send it to the charity of your choice. It could not be much easier today, to assist the non-profit organization of your choice! Do you accept donations for cars that are lost or damaged parts? We take cars in all states! Go ahead and submit your request to donate, and we will quickly see what we are able to do for you. Can you help me locate a non-profit organization that fits my personal values? We'd really like to assist you ensure your donation goes to your cause in Centennial you care personally about by assisting you to choose a charity, such as Christian World Outreach, that fulfills with your own values. This is so important to us we do it every time you contribute with us! Who can I donate my automobile to in Centennial? Instant Car Donation proudly supports most respected national & local Centennial organizations in the regional area. We work hard for you to ensure maximum support is recieved by the organizaion from your car or truck. All owners on the car title must complete the section of this title tagged "assignment of title by owner" or "transfer of ownership by seller". The majority of states require signing and printing owner names. You need to fill out any fields that require information concerning a buyer/purchaser/transferee with information. Instructions may be found by you here. Will my donation be finished quickly? First we'll contact the charity of your choice (or select one for you whether you asked that instead) to make sure they need your own automobile which takes around one business day. Wewill arrange to get a truck to come to you for pickup. When it is taking a little more time don't hesitate to contact our support team. Is car donation for clunkers? Lots of people think car donation is simply so you can get old cars which don't run out of their driveway. This isn't true. Lots of folks donate attractively re conditioned cars that they have been taking great care of. Additionally, did you realize many vehicle collectors donate their vehicles to charities every year? For example, actress Sharon Stone has been collecting vintage cars over the previous 21 decades and has given seven of the collectible cars for charities. Donations in this way can help non-profit organizations to help people in need, to feed the less fortunate, to teach youngsters, to provide after school programs, to offer clothing to homeless folks, to help creatures and many other actions that are favorable. Needless to say you'll be able to donate any vehicle, like being a Creative Coachworks Creative Coachworks, or a Koenigsegg Automotive Regera, however exactly what exactly makes Instant Car Donation unique is that people allow you to pick a local charity like Pro Athletes Outreach or even Christian World Outreach from Centennial, Colorado, so that your donation can help the local community. Many vehicle donation programs simply enable one to contribute to one company since they are usually hired specifically by this charity because of their designated auto donation supplier. We are very different. We're not hired by charities. We develop partnerships and so are independent. This allows us to help countless charities all over the country like Hands of Hope Tucson and Conexión Américas. But, our unique capability to help local charities like Christian World Outreach and Pro Athletes Outreach at Centennial, Colorado, is our specialty. Another vinatge car collector that's donated cars to charity is Evan Metropoulos, of Metropoulos & Co.. His cars have been a first 1970 Plymouth Hemi Cuda and also a 1968, 350 horsepower Chevrolet Corvette convertible, were absolutely NOT junkers! Do you know someone? Why not ask them if they'd really like to give it to help a local charity such as Christian World Outreach in Centennial, Colorado or Disabled Police and Sheriff's Foundation? It could be almost any vehicle, like being a Falcon F-7 or a Holden Volt! The options are endless. Whenever you make the choice to give your car, such as a Mercedes-Benz 560, to support a cause that you care about, you recieve the benefit of a tax deduction - and the charity such as The Flea Theater receives the advantage of the financing to sponsor programs or projects. But did you know your car donation can also provide the advantage of living throughout recycling? Recycle, reduce, and repurpose are conditions we are very familiar with nowadays. We take the opportunity to form our recyclables to steel, plastics, aluminum and paper. But do you ever feel that cars were a major portion of recycling? And, most of us do not have the time or energy to fix our cars up so that we may market them and fetch the highest price for what we have. That is where we come in. If you donate your car, we arrange a complimentary pickup and sale of your vehicle at a nearby auction in Centennial. In the market, your car is going to be bid on by a person, used car salesman, or mechanic that wants to present your automobile new life, and has time and skills to do it. That's to say that by donating your car, you're really giving it a new function! Who understood that donating a vehicle could achieve so many critical goals at once? When we donate a vehicle, we gain a charity such as Wings Over the Rockies Air & Space Museum by providing them much-needed funding, take the burden of fixing up the car from ourselves and we repurpose and recycle our car! Can each charity deal with the work it requires to process a auto donation? Regrettably, no. Pro Athletes Outreach might not find enough efficacy in managing the towing, titlework and purchase of a given car. And hence, Christian World Outreach may not have the ability to rely on automobile donations as a source of funding. But through our streamlined procedure, financing from the selling of your car can really make a difference to non profits like Pro Athletes Outreach. We can lend charities such as International Disaster Emergency Service a hand while a greener, more simple life.